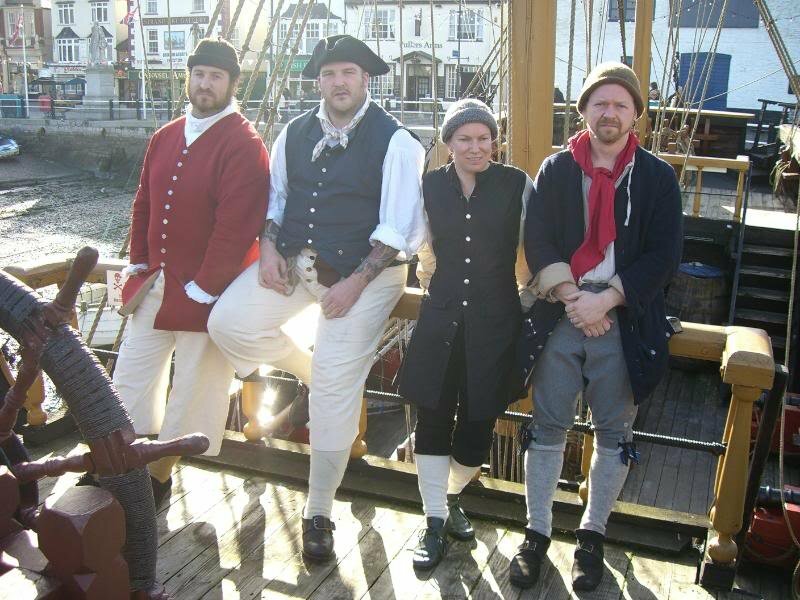 As is the case in many re-enactment groups, some of our members re-enact other periods to keep things interesting. It isn’t practical to be a complete time tart, as you’d need a great deal of kit to do a full range of historical periods, so a number of us have selected ‘The Golden Age of Piracy’ as a second historical period. Pirate re-enacting tends towards smaller, less formal events than our medieval re-enactment, and can be a lot of fun. As there are generally lots of re-enactors who choose to be pirates, we normally portray militia forces at events.